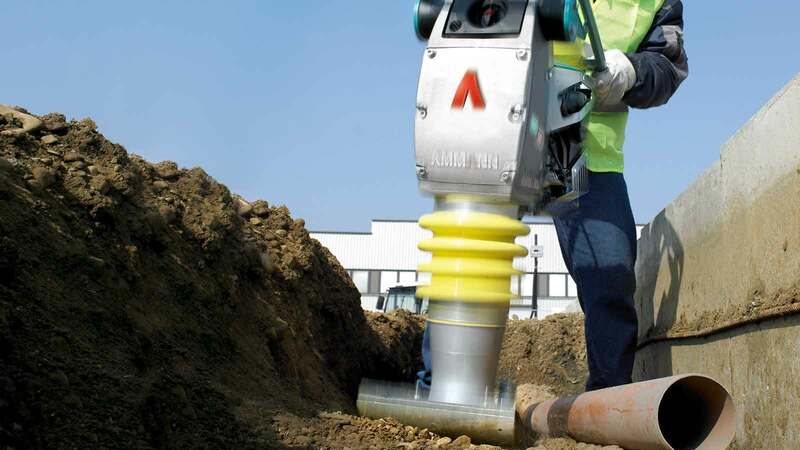 The Ammann ACR60 rammer offers the highest performance, operator’s comfort, economic viability, ergonomic design and useful optional equipment and therefore the optimal compaction machine for every construction application. 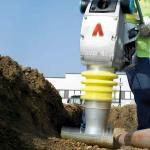 The Ammann rammers can be operated under the toughest conditions in trench compaction work, back filling or in patch works on roads – even in the most confined areas. 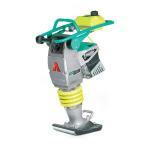 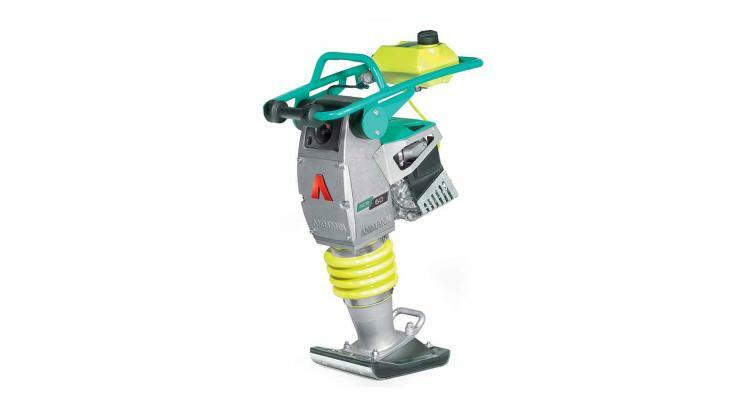 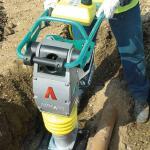 The Ammann ACR60 has been developed in accordance with the newest ergonomic and environmental requirements. 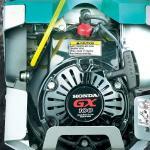 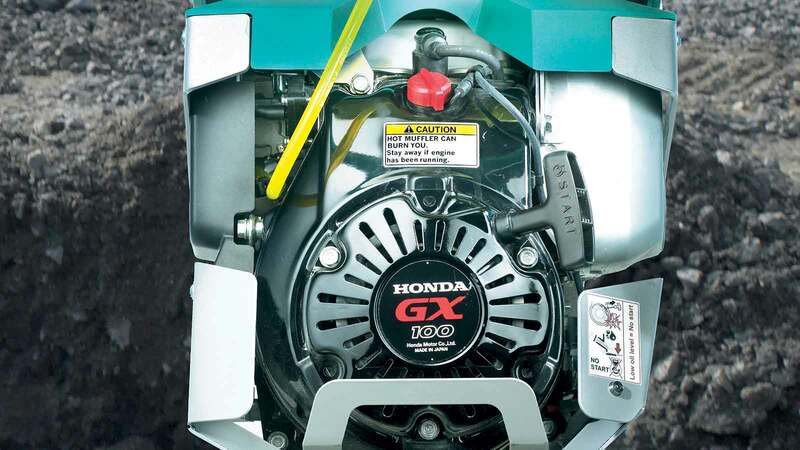 It is powered by a Honda GX100 4-Stroke petrol engine with automatic oil alert system and with a carburettor with integrated pump which assures a better fuel injection leading to an always optimal engine start up. 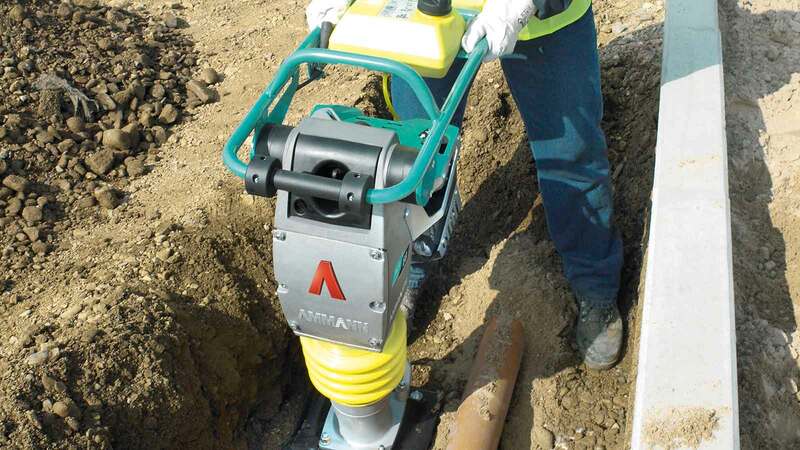 The high compaction performance of the Ammann rammers combined with an extraordinary fast forward motion, and extreme low centre of gravity due to the low mounted engine and downward distribution of the mass, makes the Ammann ACR60 a very robust and reliable rammer. 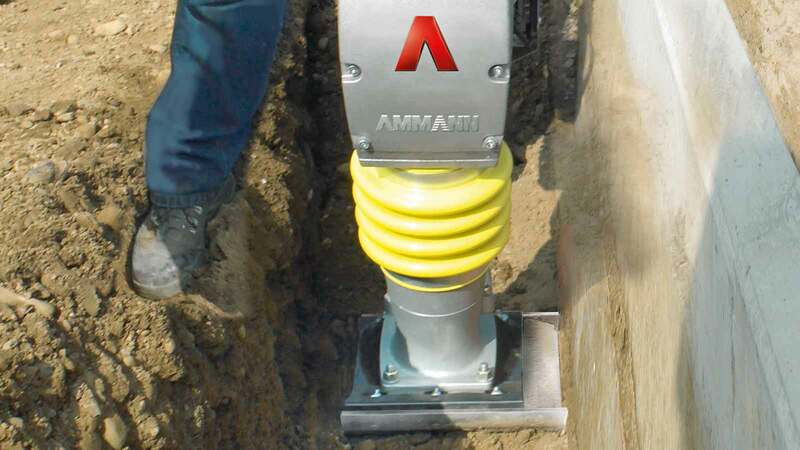 A height adjustable vibration reducing handle, and fuel reservoir with extended volume of 3 litres lead to fatigue free operation, allowing the user to operate the Ammann rammer for longer periods. 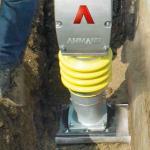 Various sizes of shoe widths from 165mm up to 400mm assure a wide range of applications for the Ammann ACR60 rammer.